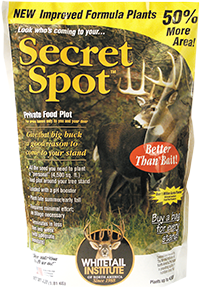 Contains all the seed you need to plant a 3000 square foot food plot. Requires no tillage equipment to plant. Works great for logging roads, clearings or any out of the way placethat receives at least 4 hours of sunlight per day. Highly attractive and packed with nutrients.